New Life City of Praise church, led by pastor and famed gospel recording artist John P. Kee, is holding their annual Gifts for Guns Exchange. It's simple: you bring in a gun (remove the ammo first), there are no questions asked, and in return you'll receive a gift card ranging from $25-$100. 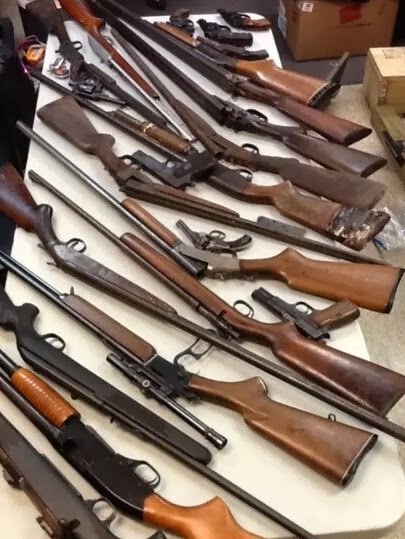 It's the church's admirable efforts to reduce crime by taking illegal guns off the streets. 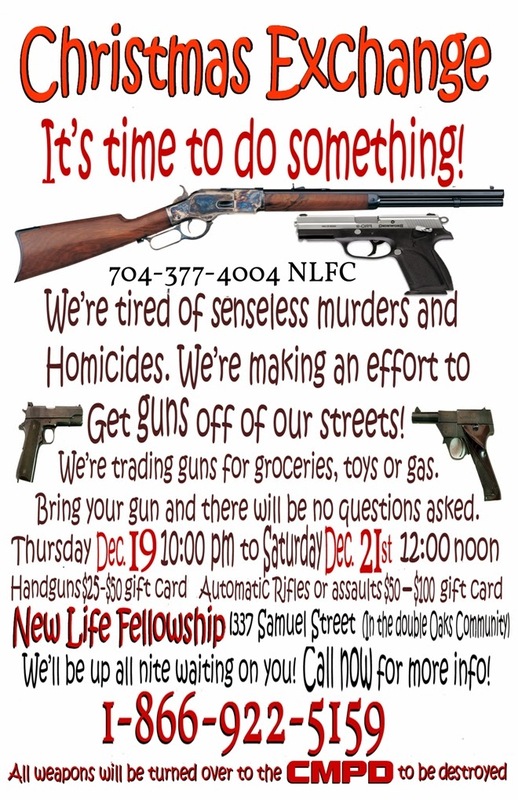 New Life holds this gun drive each year during the Christmas season. The 2013 drive began yesterday and runs until noon tomorrow (December 21). All guns turned in will be given to Charlotte-Mecklenburg Police Department to be destroyed. New Life is located at 1337 Samuel St. in the historic Double Oaks community. I wrote about the neighborhood a few years ago before it was revitalized into what's now called Brightwalk. Pastor Kee tweeted a photo this afternoon of the pile of guns he said had been collected in less than six hours.